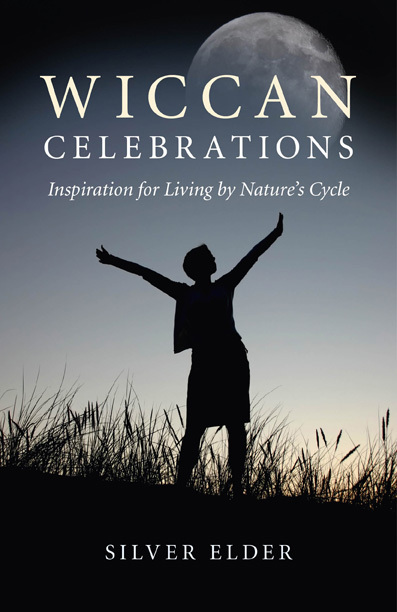 I'm always interested in books of Wiccan rituals, which was why I picked up a copy of the recently published Wiccan Celebrations: Inspiration for Living by Nature’s Cycle. Not only do I like to see how different covens perform their seasonal rites, it can be quite useful to have some ready-written material on hand if I'm ever asked to find some words to say at a Sabbat - the witches' name for festivals that mark important points of the year. However, I soon realised that Wiccan priestess and author Silver Elder's new book is far more than just a collection of rituals. Publisher O-Books says on its website: "Wiccan Celebrations is a complete illustrated guide to Wiccan ethics and practice based on the seasonal cycles." And I would agree that it does just that. The first part of the book is one of the most comprehensive yet concise descriptions of Wiccan ethics, beliefs and cosmology that I have come across. It starts quite simply, explaining the importance of nature in Wicca and the ethics behind the Wiccan Rede of An it harm none, do what thou wilt". Wiccan Celebrations goes on to talk about concepts of divine energy and states: "In Wicca we know that there is a Higher Power... because we see it manifest in Nature and within ourselves." Gods and Goddess are described as "energies and forces which we perceive through our own psychic powers using visualization and mental focus". From Gods and Goddesses, Silver Elder goes on to describe the way Wiccans believe the physical world relates to spiritual or divine realms and how Wiccan rituals interact with them. She says: "In modern Wicca today, many traditions borrow cosmologies from other religions in order to form a new unique graphic structure; a road map if you like, by which to guide religious practice." With the help of some clever and attractive diagrams, Silver Elder shows how such things the Kabbalistic Tree of Life; the traditional pagan Three Worlds (Underworld, Middleworld and Otherworld); the Collective Unconscious from Jungian psychology; the Astral, Mental and Spiritual planes; and concepts including the Akashic Records fit together in a neat cosmological framework. I don't think I've ever seen it all explained quite so neatly. Having said that, Wiccan Celebrations isn't a book for beginners. In fact I'd call it an intermediate book. It would be perfect for someone training for their First Degree Initiation or beyond, but would probably be a bit confusing for someone who had never experienced any pagan rituals or even read a book or two about the basics. The ritual themselves - of which there are many in the last couple of chapters - are also not aimed at beginners. They are very long and quite complex. I must admit it took me a little while to get used to the idea of entire, lengthy rituals all in this strict form of rhyme. I'm more used to shorter rituals, mostly in free verse, with the odd ryhme for emphasis. However, I can see the point of using couplets. For a start, rhymes are one of the most powerful mnemonic devices - or memory aids - which could be very useful for those having to learn lots of lines. The regular, repetitive form could also be as hypnotic as a drum-beat. In a ritual context that could help promote an altered state of consciousness to make the magic more effective. Nevertheless, my original reason for getting the book - hoping it would contain lots of easy-to-use off-the-peg rituals - was not what I ended up liking most about it. On its website O-Books describes Wiccan Celebrations as: "A contribution to the sacred texts of Wicca." I would most definitely agree with that. In my opinion it quite easily deserves its place on my bookshelf next to such Wiccan classics as Vivianne Crowley's Wicca: A comprehensive guide to the Old Religion in the modern world and Scott Cunningham's Wicca: A Guide for the Solitary Practitioner. You can shop for Wiccan Celebrations through Amazon.